Whether you retire at 65 or keep working, you’ll be eligible for Medicare. Which means, you’ll have new choices in health plans — maybe more options than ever. There’s a lot to think about. So, it’s smart to start planning by asking these important questions. #1 — Will Original Medicare Alone Cover My Medical Costs? Unfortunately, Original Medicare only covers part of your health care expenses — the rest is your responsibility. If you’re hospitalized for a single day, you would owe $1,340. With a serious illness requiring multiple admissions, you run the risk of spending thousands more! More copays/coinsurance and deductibles can quickly add up, too. A Medicare Supplement can help you cover the costs, but the monthly premiums are often expensive. Fortunately, a Medicare Advantage plan offers you an affordable, quality option. #2 — How Much Are Premiums, Deductibles, Doctor Visits And Hospital Stays? Rely on Original Medicare alone and your costs will typically look like this: the Part B monthly premium ($134), Part A annual deductible ($1,340) and Part B annual deductible ($183), plus you pay 20% of all the Medicare-approved costs for doctors and hospitals. #3 — Do Plans Offer Benefits Beyond Original Medicare — Like Prescription Drug Coverage? Unlike Original Medicare, which only covers part of the costs of hospitalization and medical services, affordable options like a Medicare Advantage plan do a much better job of protecting your health and savings. #4 — Will I Have A Choice Of Doctors And Hospitals? Many doctors and hospitals do accept Original Medicare. But your choices may be limited. Wouldn’t you rather have comprehensive, affordable coverage that offers convenient, quality care from a large, local network? 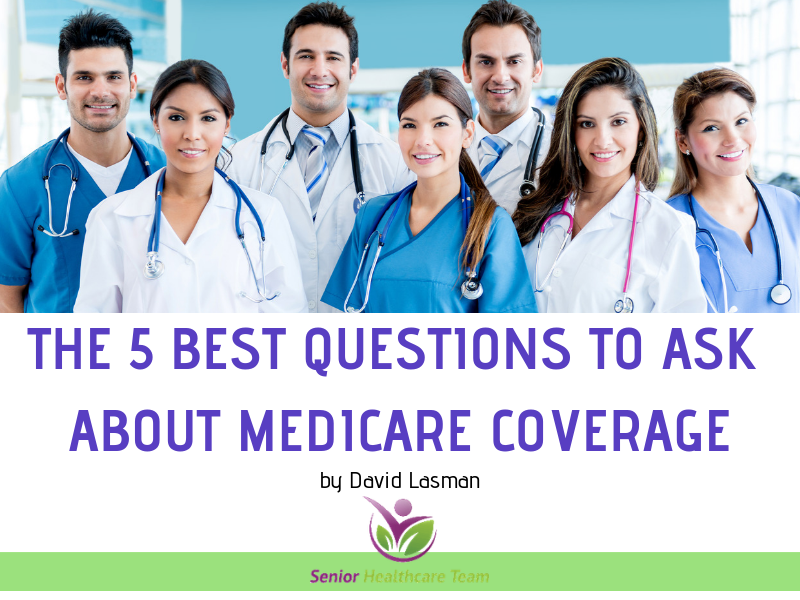 #5 — When Do I Enroll In A Medicare Plan? You can enroll in Medicare three months before your 65th birthday month and up to three months after that. But, if you decide to keep working, there are different enrollment rules to follow to avoid paying a Medicare penalty. Senior Healthcare Team is here to help you whenever you decide to enroll — whether it’s at age 65 or later.